I’m down with the flu, I think I got it from my 10 month old son, man it’s gonna be tough when he starts in nursery December 1st, and brings all kinds of germs with him home. 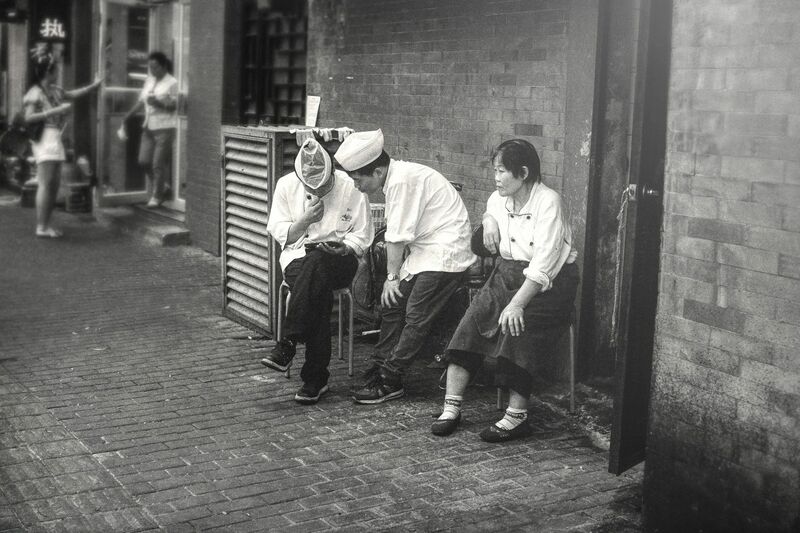 Anyway, today’s photo is from Beijing, China, where I managed to capture these three chefs on their break. Break time by Bo47 is licensed under a Creative Commons Attribution-NonCommercial-NoDerivatives 4.0 International License.